Armored Greybeards' Robes REQUIRED. WILL NOT RUN WITHOUT IT. 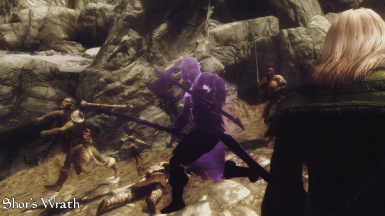 - Implemented workaround for the ability condition bug in Skyrim that would cause it to break eventually. - Splinter Twins: now correctly can't be pickpocketed. - Fire Breath is now excluded from duration bonuses. 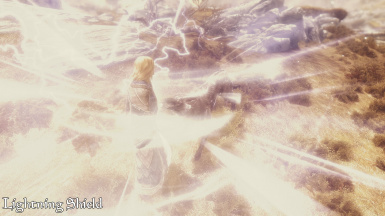 - Meditation ability script now shuts down when not in High Hrothgar, making it physically impossible to erroneously trigger the OnSit() event elsewhere. - Scrapped old ability and its issues with new properties altogether. Upon updating, please stand still for about 10 seconds. This should fix the meditation effects kicking in at random times, and finally leave the update issues behind. - Kyne's Sacrifices: no longer targets cows, chickens or conjured animals. - Slightly improved execution speed of the meditation script and other scripts. - Added an option to disable meditation sounds and visuals. - Fixed Papyrus error when shouting and gaining 0 XP. - Standardised the names of many magic effects and spells. - Added IsPlayer conditions in places when shouts do not work correctly on NPCs. - Updated Hodir's Thu'um Notes. - When you receive Robes as a reward, there is now properly a message. - 1 Mind Lock: changed drain amount from 400 instantly -> 200 per second for 10 seconds; increased cooldown from 15 -> 40 seconds. - 2 Demi: no longer registers a hit event on self; increased cooldown from 20 -> 60 seconds. 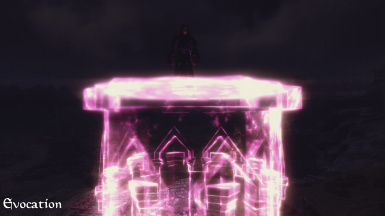 - 3 Shockwave Pulsar: changed name of hazard spawner and made it visible in the UI; updated some really old code; no longer works for non-players; can't be cast in Sovngarde. - 3 Anomalies: updated script; no longer registers a hit event on self; spawned anomalies are no longer invulnerable; changed level scaling from 80% -> 65% but their damage now scales with level. - 1 Cosmic Strike <- Rain of Fire. - 2 Cosmic Bombardment <- Greater Rain of Fire: increased radius from 600 -> 700. - No longer registers a hit event on self. - Duration now more closely matches actual effect duration. - No longer counts damage double during high latency conditions. - No longer erroneously also deals 1 damage per second. - 2 The Jugglenaut: improved responsiveness. - 3 War Drums <- Spirit Dance: increased damage from 60 -> 90. - 1 Eruption: no longer registers a hit event on self. - 2 Tremors: damage no longer dwindles to zero if target has any amount of armor. - 1 Stator <- Attractor: increased force push update rate from 0.2 seconds -> 0.1 seconds for smoother animation. - 3 Death Magnetic <- Bird Shooting: no longer applies random force pushes; added help message. - No longer works on enemies that are immune to force pushes. - 1 Ice Assassin: changed functionality, now quadruples your damage for 5 seconds; increased cooldown from 20 -> 25 seconds. - 3 Time Freeze: updated script; Ice Needle now deals 5 -> 10 damage. - 1 Moonlight Shadow: changed message and added special message during Bringing Home Kyne; no longer allows travel between worldspaces. - 1 Smite the Weak: increased duration of stagger effect. - 2 Scatter the Weak: increased duration of stagger effect. - 3 Time Compression: no longer allows you to move or attack while active, but Time Crush damage increased from 400 -> 500. - 1 Healing Wave: regenerates 15 health for 5 seconds -> 50 health for 2 seconds. - 2 Rejuvenating Wave <- Greater Healing Wave: regenerates 40 health/magicka/stamina for 5 seconds -> 25 health for 10 seconds. - 3 Lifetide: reduced area of effect from 500 -> 400; healing pulses are more gradual (still heals the same amount total); added warning about interiors; can't be cast in Sovngarde. - 1 Shock Shield: improved description; increased damage from 10 per second -> 12 per second. - 2 Grounding Shield <- Dispersion Shield: improved description; removed silly immersion switch condition; proc now has a description; increased damage from 15 -> 25. - 3 Thunderstone <- Bulwark. - 1 Absorb Knowledge: script no longer uses an update loop; now has a description; no longer increases enemy cooldowns. - 2 Eldritch Scream: no longer has an unrealistically strong stagger effect. 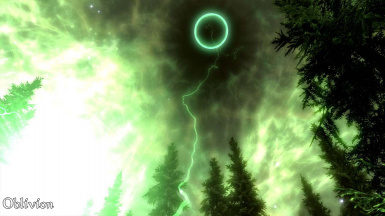 - 3 Blackstorm: now correctly disintegrates targets below the threshold and damages them if not, instead of potentially both; added note about Sovngarde. - 3 Spirit Nova: no longer has an unrealistically high stagger strength. - 1 Fracture Magic <- Shatter Spell. - 2 Warp: added message if teleport obstructed or target too big; increased stagger strength. - 1 Rending Sphere <- Shattersphere: changed damage from 150 frost -> 125 frost, 125 unresistable. - 2 Silent Sphere <- Silent Shattersphere. - 3 Biamhac <- Greater Shattersphere: reworked, now summons a storm of increased Magicka and Stamina regeneration. - 2 Tempest: no longer adds a dummy effect to your magic effects list; increased duration from 20 -> 30 seconds. - 3 Shor's Avatar: changed level from 45 -> 1.25x caster level (min 45). - Mechanics were reworked completely, removing the update loop and ensuring much faster response; restealth time now depends on shout level. - 1 Starfire: added minor stagger; reduced reset delay; added help message. - 2 Touch The Stars <- Closer To The Stars: added warning if cast indoors; levitation speed reduced and falls off eventually; added re-entry explosion. - 3 Stellar Extinction: now only works for the player; added warning if cast indoors; no longer has a hard duration cutoff; no longer displays an inaccurate duration. - Each of the three levels now has distinct strengths and weaknesses. - 1 Amethyst Twins <- Lesser Twins: now has +100% health, -50% damage; duration 30 seconds. - 2 Ruby Twins <- Twins: now has +100% damage, -50% health; duration 30 seconds. - 3 Diamond Twins <- Greater Twins: now has +50% health and damage; duration 45 seconds. - Now requires a power attack. - Reduced duration to proc effect from 20 -> 15 seconds. - 1 Stormstrike: increased damage from 120 -> 125; increased blast radius from 5 -> 6. - 2 Forked Lightning <- Greater Stormstrike: now calls down chain lightning, increased damage from 175 -> 200. - 1 Strength of Kings <- One Stands Tall: changed functionality, now levitates enemies just off the ground, absorbing attack damage; increased cooldown from 30 -> 45 seconds. - 2 Hammer of Kings <- One Stands Taller: same as above, but absorbs less attack damage but if you hit them with a weapon, they get launched; increased cooldown from 45 -> 60 seconds. - 3 Supernova: reduced radius from 350 -> 200. - No longer enchants all your arrows during the duration, but only enchants your next arrow. - Reduced duration to proc effect from 30 -> 15 seconds. - 2 Wings of Kyne <- Greater Flight Arrow: now also launches the target. - 3 Skystrike: increased magic damage from 120 -> 250; causes more force on death. 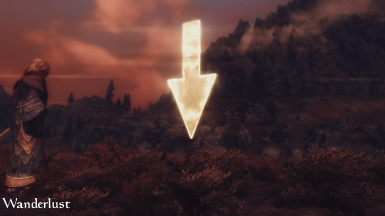 - 1 Pilgrim's Boon <- Vivid Memory: reworked, now grants carry weight and infinite stamina out of combat. - 3 Wonderlust <- Town Portal: reworked, now grants 50% chance to add a random shout when you shout. - 3 Ancient Vigor: increased missing Health per second from 5% -> 10%. - Iceborn 1: now correctly increases damage by 25% instead of 0.25%. - The Conqueror 1 & 2: fixed buff description displaying 0 Health damage. Some people are still having issues updating from older versions even though there SHOULD be no issue whatsoever and I did everything right and implemented failsafes upon failsafes. Want to bet it's just their install? I'm making a final attempt at fixing this, if it fails, I'll just take the mod offline. It is not possible to update the properties of an ability script in mid playthrough despite the official Creation Kit wiki stating the opposite. This tripped me up when I finally optimised the meditation script a few patches ago. This update adds a script that removes and adds the ability again (and then shuts down). This SHOULD fix the issue. Let me know if it doesn't! Fixed inability to meditate and player ref NONE in the Papyrus log for users upgrading from certain older versions. Except when it doesn't, for no good reason. Fixed inability to meditate and Space Dinosaur Error in the Papyrus log for users upgrading from certain older versions. Fixed Kyne's statue, which was an older version. - The script that handles meditation has been refactored. It is slightly faster and no longer calls a separate function to add words or spawn Voicewraiths, reducing the likelihood of a stack dump in high script latency conditions. - Improved all intermediate quest descriptions. - Leap of Faith objective: improved description to indicate that you have to fall for 4 seconds; reduced minimum Z delta from 4000 -> 3750; script runs faster; no longer claims you completed the quest if you fall to your death. - The pillars now give a more informative message if you don't have the entire shout unlocked, instead of the unhelpful message "The pillar sleeps." - Annihilate 3: corrected on-screen help message; increased chance from 30% -> 40%. - Armageddon 3: increased meteor damage from 500 -> 750; fixed buff description. - Dance of the Dead 3: increased beat damage from 50 -> 60. - Iceborn 1: improved buff description. - Iceborn 3: projectiles now have a collision size of 1 -> 6, making it much easier to hit enemies. - Oblivion 3: now 33% less likely to hit the player. - Splinter Twins: ghosts can no longer be activated (and pickpocketed, etc) if combat ends without the death of the target. - The Conqueror: improved buff description. - Disarm 3: increased level cap from 35 -> 50. 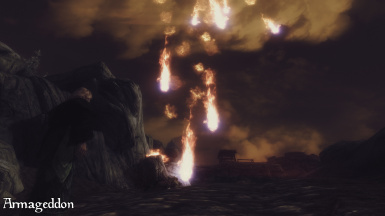 - Dismay 3: increased level cap from 30 -> 50. 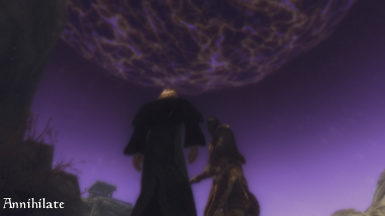 - Thundering Echoes: added a small delay to prevent a collision with the And The Universe Listens perk in Ordinator. - Added an option to turn off gaining Dragon Souls. 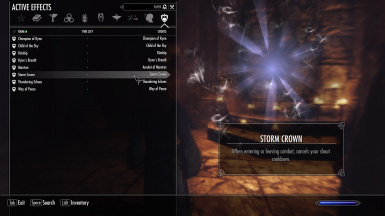 - Shout effectiveness scaling from favor now includes Storm Call (not flagged as a shout in vanilla Skyrim). 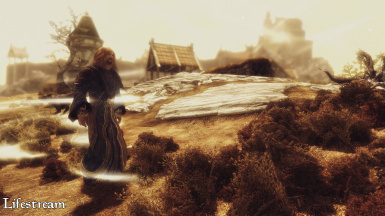 - Now checks if your location is High Hrothgar before entering or leaving meditation. 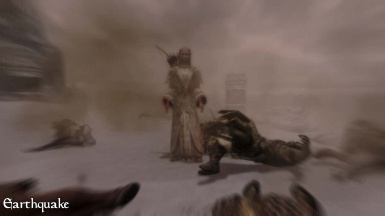 The OnSit() and OnGetUp() functions are temperamental and are occasionally delayed by a very long time for no clear reason, causing them to trigger at random times while playing; this change should stop them from doing so outside High Hrothgar (and log the event when it does). - Fixed Throw Voice being flagged as an Alteration spell. - Fixed Unrelenting Force 2 and 3 being flagged as Destruction spells. - #3 Final Impact: Projectile no longer always spawned at (0,0,3000). - #3 Time Freeze: Increased damage by 25%. Increased Empowered Iceborn from +40% to +50%. - #3 Blackstorm: No longer marks items from slain enemies as stolen. A straight leap from 3.06 to 3.10 because 3.08 was designed for touch screens. Kyne will now serve as your personal assistant and manage your everyday life at home and at the office. Kyne is only available in some countries/regions of Nirn. Check at your local Temple of the Divines for more information. - Favor message now appears correctly above 1000 favor. - Improved responsiveness of multicast shouts (voice blast + projectile). - Most lower level shouts have reduced stagger strength. - #2 Vitality Bond: Improved script execution speed. If the target dies, the spell now ends instead of killing the caster. Can no longer be cast on dead actors (and will certainly not instantly kill you if you do so). caster. Can no longer be cast on dead actors. No longer fails if magicka is 0. - Lost History replaced -> Mind Lock (deals 400 magic damage to magicka and stamina). - #3 Anomalies: Renamed from "Apparitions". Slightly improved script execution speed. Now only works on the player. No longer aggro when struck by friendly hits. - #3 Final Impact: Damage increased from 260 -> 500. - #3 Spirit Dance: Slightly improved script execution speed. Corrected magic effect name. - #1 Eruption: Improved script execution speed. - #2 Tremors: Slightly improved script execution speed. - #3 Petrify: Applied some good coding practices to the script. magicka. Other stats and animations adjusted to match. interrupts your spellcasting after 2 seconds. - #3 Mage Tower: Slightly improved script execution speed. - Greater Frozen Heart replaced -> Reverb (removes shout cooldowns when you perform a killmove). - Frozen Heart renamed -> Ice Assassin. - #1 Ice Assassin: Reduced attack damage bonus from 50% -> 25%. Reduced cooldown from 30 -> 20 seconds. Reduced size of glow effect. - #3 Time Freeze: New projectile. - #3 Naked Moon: No longer erroneously works on animals. - #3 Lifetide: The old pillar bonus "does not also heal enemies" is now the default, and the pillar bonus makes it work on nonliving targets. - #2 Dispersion Shield: No longer activates when the caster hits themselves. - Overwhelm replaced -> Eldritch Scream (randomly deals 25 or 300 magic damage). - #1 Absorb Knowledge: Improved script execution speed. Reduced stagger strength from 0.5 -> 0.25. - #3 Blackstorm: Reduced maximum hit delay from 9 -> 8. Slightly improved script execution speed. - #3 Disjunction: Slightly improved script execution speed. - #2 Warp: Slightly improved accuracy. No longer works on dead targets. - #3 Maelstrom: Slightly improved accuracy. - #3 Greater Shattersphere: Increased damage from 350 -> 450. - #1 Purge: Reduced stagger strength from 1 -> 0.5. Reduced damage to 25%. - #2 Tempest: Shout cooldown is immediately reset when cast. - Renamed EDIDs for clarity. now incremented each 5 stars instead of each star). - #2 Closer to the Stars: Increased damage from 20 -> 30. - Reduced number of conditions. - #3 Supernova: Improved script execution speed. Removed useless 0.1 second delay. Removed log messages. incremented each 500 units). Distance records are now in foot instead of points of damage. - #1 Flight Arrow: Now deals +15 damage per 25 foot. - #2 Greater Flight Arrow: Now deals +25 damage per 25 foot. - #3 Skystrike: Damage increased from 90 -> 120. - #1 Tormenting Wail: Now deals 50% of missing health as magic damage. - #2 Leeching Wail: Now deals 50% of missing health as magic damage and heals the caster by this amount. - #3 Killing Wail: Kill threshold increased from 33% -> 50% but cooldown increased from 60 -> 240 seconds. - Fixed awkward shout description. - #1 Vivid Memory: Slightly improved script execution speed. - #3 Town Portal: Slightly improved script execution speed. - Random spit and polish. - Improved descriptions in Hodir's Thu'um Notes. 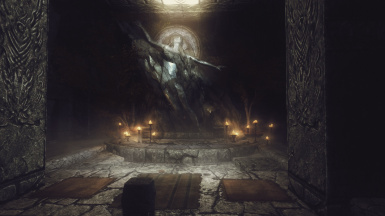 - Hodir's Thu'um Notes are now on the meditation mat instead of in a dark corner. - Slightly improved script execution speed. - Fixed invalid reference on Voidwraiths. - Ported USKP fix to Become Ethereal. - Ported USKP fix to Frost Breath. - Removed Elemental Fury changes so they don't block the USKP fix (the fix is too complex to simply port over). - Removed scripted damage scaling due to obsoleteness (new saves only).
! File date has not changed because these patches were updated by using TES5Edit, which somehow does not change the modify date. !! Do not type these commands frivolously. The quests are more than display text; most of the mod's functionality is inside. - Armageddon: Level 1 damage 25 -> 20. - Empowered Disarm and Dismay have a level cap of 999 instead of 99. - Added missing Storm Call word. - Added missing Dismay buff spell. 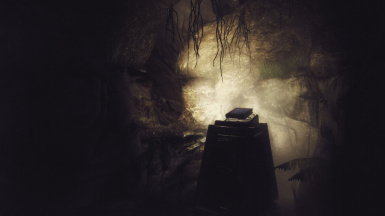 - Several users are having trouble getting Champion of Kyne to start. This seems to be caused by the same bug in the game's script engine that causes the Dwemertech issues: when you call another script during heavy load conditions, the game may ignore this altogether. This is complicated by the fact that pretty much any significant change to that script results in a compatibility break, which is fatal on the Workshop. - Arngeir is now an optional ref alias. This fixes a rare issue where the quest "Champion of Kyne" does not start after your first meditation because another quest claimed dibs on Arngeir. If you are suffering from this issue, complete a meditation and then type "startquest TC_Questline_Quest_ChampionOfKyne" into the console. Do not use this command at any other time or you will break sequence and render the quest uncompletable. Make sure you actually have this version of the mod. - The tracker spell is applied to the player a second time in case the first assignment fails (for no good reason, mind you). - Removed a few outdated ITMs and erroneously touched objects. - The shout power bonus from Champion of Kyne is no longer erroneously capped at 51%; to compensate, it now increases by 2% instead of 5% per 100 favor. This may or may not affect existing playthroughs since it's a script change. - Iceborn: Damage per target^2 reverted to 60 from 100. !! The entire quest scripting is overhauled, making it incompatible with the previous versions. !! Favor with Kyne is no longer visible. Instead, each time you gain favor, your shouts permanently become more powerful (the "Champion of Kyne" ability now tells you by how much instead of telling you how much favor you have). The Acolyte of the Voice quest progresses in a visible way when you reach the former favor thresholds, but the amount of favor you can get (and therefore the power boost to your shouts) is unlimited. Several abilities (Nordic Welcome, Scorched Earth) were tossed, but in return you now get the free power buff from favor. - Quest objectives that involve a specific location (Bringing Home Kyne, Pledge) now have quest markers. 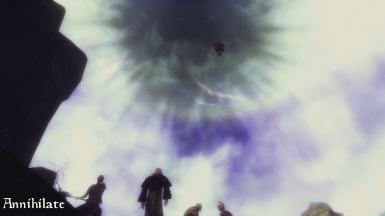 - Phantom Decoy shout is now given for free when you are crowned by the Greybeards. 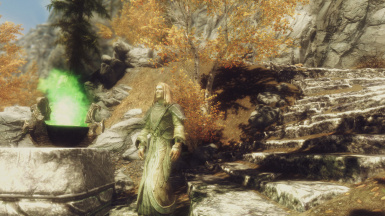 - High Hrothgar Library navmesh is now connected to the High Hrothgar navmesh and has several idle markers for NPCs who end up there. 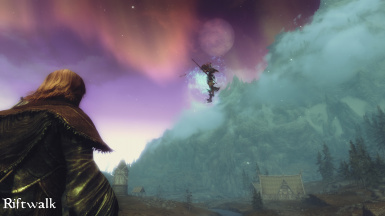 - Gift of Kyne and Gift of Talos have new effects. - Leap of Faith no longer fires off a proc but handles everything in one script for improved responsiveness. - Meditation completion message differentiates between succeeding and learning words vs succeeding when there isn't anything to learn. - Greybeard Robes of Snow are now given out as reward for a skill challenge involving Iceborn 3. 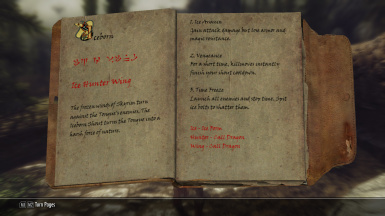 - Bringing Home Kyne: Clarified quest text. Yep, that's it. Non-retroactive changes (ones that may not affect existing playthroughs after the quest has started or the High Hrothgar map has loaded) are indicated with (NR). 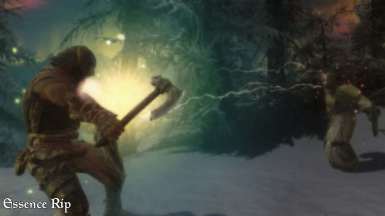 - Kyne's Sacrifice: The hunted animal buff is no longer invisible. - Leap of Faith: Reduced fall distance from 7000 to 4000 and reduced fall time from 4 to 3.5 seconds. 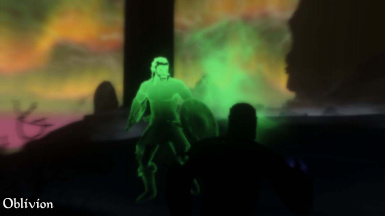 - Champion of Kyne: Improved the wording of several quest objectives. - Improved internal names of various records to match the naming conventions in my other mods. - Deleted descriptions of several invisible magiceffects to reduce translation efforts. - Deleted several unused quests. - Removed unnecessary condition from Champion of Kyne ability. - Reduced Jugglenaut achievement threshold from 4 to 3. 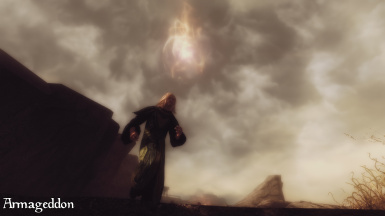 - Time slowing effects applied by certain shouts are no longer considered shouts themselves, preventing other mods from increasing their power or duration. 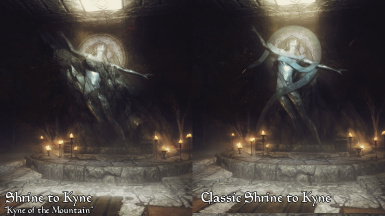 - Dance of the Dead 2: Improved script performance; damage now scales with difficulty. - Iceborn 2: Improved script performance. - Iceborn 3: Damage now scales with difficulty. - Kingsbane 3: Improved script performance; damage now scales with difficulty. - Magnet Pull 1: Improved responsiveness. - Magnet Pull 2: Improved responsiveness. - Magnet Pull 3: Improved responsiveness; damage is a flat 50 and scales with difficulty. - Oblivion 1: Cooldown reduction now correctly ticks at a rate of once per second. - Oblivion 2: No longer erroneously multiplies damage dealt by 0. 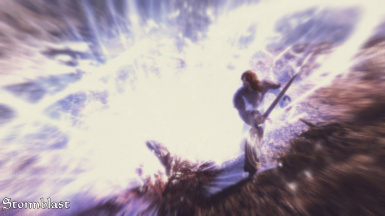 - Oblivion 3: Now deals magic damage; damage is a flat 500 and scales with difficulty. - Shattersphere 1: Increased damage from 80 to 150. - Shattersphere 2: Increased damage from 120 to 250. - Shattersphere 3: Increased damage from 250 to 350. 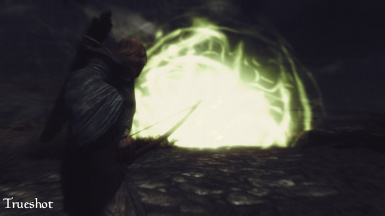 - Shor's Wrath 1: Improved script performance. - The Conqueror 3: Damage now correctly ticks at a rate of twice per second. - Now includes some code to automatically set the shout experience multiplier. - Fixed scripting issue that made variable damage spells deal no damage. - Added a configuration menu (MCM) for SkyUI users. - Leap of Faith: reduced fall distance threshold from 8000 to 7000. 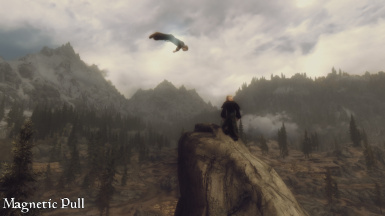 - Leap of Faith: Reduced minimum fall duration from 4.15 seconds to 4 seconds. - Leap of Faith: Optimised script to reduce scripting lag and ensuing deaths. - Pillars of the Voice: Modified functionality to prevent quest not starting. If you already started the quest, it will be reset. - Contributing to the monastery now costs the correct amount of gold. 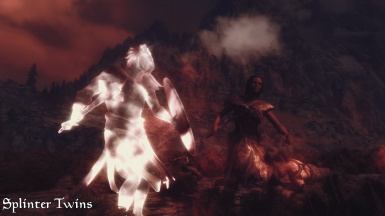 - Test of Faith: Kyne's Sacrifices no longer has the glowing eyes, because (due to a vanilla Skyrim bug) they tended to end up on the character instead. 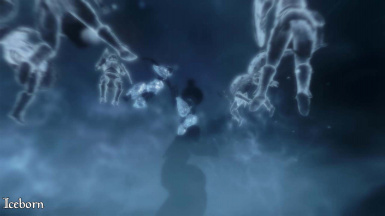 - Test of Faith: Kyne's Sacrifices now correctly returns the animal to full opacity after it wears off. - Corrected a typo in Hodir's Thu'um Notes. - The stamina freeze while meditating is now a Value Modifier instead of Peak Value Modifier, making it less likely to get overridden by other magic effects (which caused those effects to work against the stamina drain, making meditation very slow or impossible). - Test of Faith: Kyne's Sacrifices no longer targets companion dogs or horses. 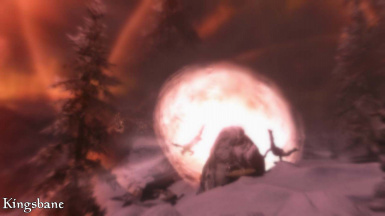 - Ability: Scorched Earth's bonus to Fire Breath no longer affects Paarthurnax. 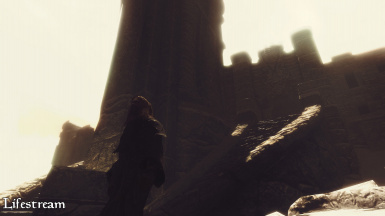 - High Hrothgar Library is no longer High Hrotgar Library. - Modified some quest descriptions. - Test of Faith: Shout to the Sky: Favor granted for shouting reduced from 5 to 4. - Test of Faith: Kyne's Sacrifices: No longer targets player teammates. 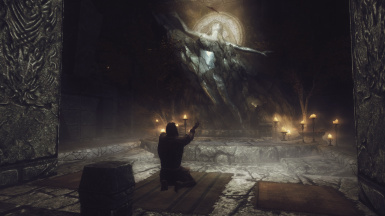 - Test of Faith: Kyne's Sacrifices: Fixed aura not going away when quest ends. 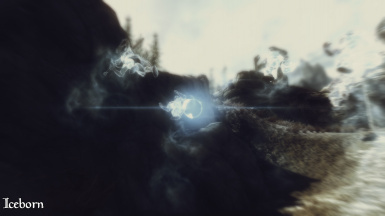 - Fixed vanilla bug: Frost Breath spelling corrected. - Oblivion 3: No longer hits and erases essential actors. - Wanderlust 3: Next city range indicator duration reduced to 60 seconds. - By popular demand, added a large number of balance changes to existing shouts. - Fixed vanilla bug: Ice Form scaling with Destruction skill. 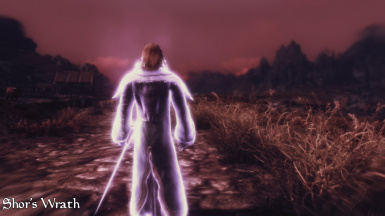 - Fixed vanilla bug: Kyne's Peace scaling with Alteration skill. - Failsafe: Champion of Kyne quest also launched when The Way of the Voice hits stage 290. - Fixed excessively fast experience gain. More tweaks will follow! - Increased speechcraft experience gain from shouting by 40%. - Violent Voice perk now works correctly. - Violent Voice perk reduced to 15% per point down from 25%. - Clear Skies: No longer dispels certain other shouts from self. 29 brand new shouts with multiple effects. 3 abilities that make shouting more effective and fun. Learn new shouts by revering Kyne and completing her tests of faith. 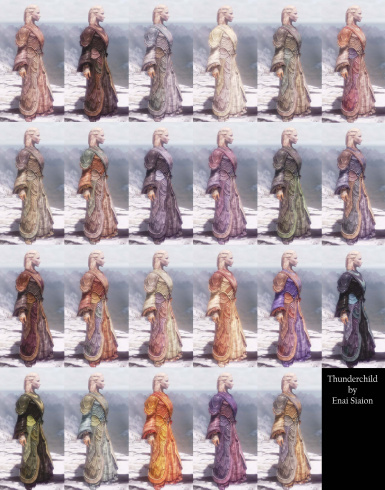 24 colour variants of the Greybeard Robes based on an upgraded custom model. 23 Pillars of the Voice to power up your shouts. Several new weapons and items. Buffs and bugfixes to existing shouts. Configuration options available in the Thunderchild MCM if SkyUI is installed (SkyUI not required to use Thunderchild). After completing the Greybeard crowning ceremony, you gain access to the High Hrothgar Library. Meditate in front of the statue of Kyne in the Library to gain new insights in the Voice. While meditating, your stamina gradually depletes until you enter a trance and the stamina bar vanishes. Count the heartbeats and interrupt your meditation when you are as close to zero stamina as possible; too early and you learn nothing, too late and you may summon angry figments of the Voice! You can meditate as many times as you want. Each new shout comprises three words that each represent an "alternate meaning" of a word in a vanilla shout. Through meditation, you may learn the alternate meaning of any word you have unlocked as part of a vanilla shout, gaining new shouts accordingly and upgrading them with additional words. Favor with Kyne: When you embark on your journey, you are only capable of learning the first word of each new shout in the above fashion. Before you can learn the second and third word, you must first gain the favor of the goddess Kyne. 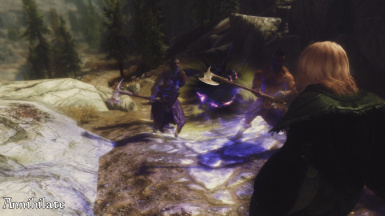 Shouting, meditating and completing quest objectives permanently increases the effectiveness of your shouts (this bonus can be found in the Champion of Kyne ability under Magic Effects) and may grant you a free dragon soul. Eventually, the goddess will allow you to learn the second or third word - if you have unlocked them as part of a vanilla shout. Note that you can't learn the second or third word in a shout before you learn the previous word, and not all three words come from the same vanilla shout. 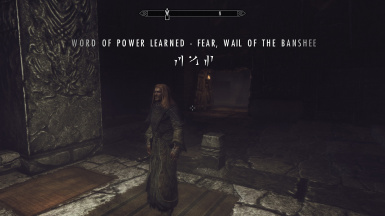 Hodir's Notes in the High Hrothgar Library contain an overview of the new shouts and the words they contain. Alessia's Love - MORTAL PEACE TRUST: Enter a bond of life with another living being, sharing vitality. Annihilate - ESSENCE UNLEASH STRIKE: Use gravity to harm enemies or lift them into a black hole. Arcane Helix - FIRE FURY TEMPEST: Breach an enemy's resistances or summon raging spirits of magic. Armageddon - WHIRLWIND INFERNO SUN: Call down a rain of meteors or a devastating impact event. Curse - MIRROR SPIRIT BIND: Condemn targets to suffer the same pains they inflict on you. Dance of the Dead - ANIMAL TEAR ZOMBIE: Juggle enemies on your weapon or dance to create shockwaves. Earthquake - FORCE SAND ETERNITY: Slam enemies to the ground or turn allies into invulnerable stone. Essence Rip - LIFE BALANCE PUSH: Swap your lifeforce with an allied or enemy target to heal or harm. Evocation - WIND MAGICKA HEALTH: Shout a spell of your choice or raise a tower of magic to cast from. Geomagnetism - EARTH SEEK HUNT: Trap enemies in a swirling magnetic field or drag them with you. Iceborn - ICE HUNTER WING: Briefly deal huge damage or freeze time and set up a shatter combo. Jone's Shadow - VOICE LEECH SUFFER: Scout in a dreamstate, undress your enemies or strip magical boons. Kingsbane - STRENGTH NEVER DYING: Stun or scatter nearby enemies or stop time and blow up your enemies. Lifestream - STAMINA VALOR INSPIRE: A healing shout, affecting nearby allies or creating healing weather. Lightning Shield - STORM FLESH STATUE: Shock nearby enemies, retaliate against damage or become invulnerable. Oblivion - CURSE MIND DRAGON: Overwhelm enemies with knowledge or unleash the power of Hermaeus Mora. Riftwalk - AIR RUN TERROR: Block spellcasting, teleport to enemies or drag them to you through the void. Shattersphere - FROST FOOL FAR: Cast a single powerful sphere of ice, or summon a spirit storm. Shor's Wrath - HERO HAND DEFEAT: Oust intruders, gain godly powers or sing Shor's ghost into the world. Shroud of Snowfall - FADE COLD FREEZE: Summon a blinding storm that cloaks you and muffles your steps. 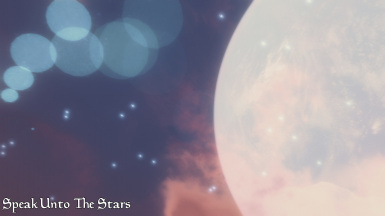 Speak Unto The Stars - TIME ALLEGIANCE PACK: Assault your enemies from above or explode the stars for power. Splinter Twins - KILL DECEIVE PHANTOM: Summons the evil shadows of your enemies to fight them. 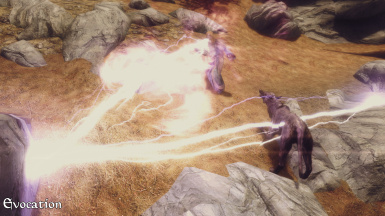 Stormblast - SKY WRATH LIGHTNING: A single powerful melee strike that calls down Talos' lightning. The Conqueror - LOYAL ARMOR WYRM: Levitate those around you or blow up the sun. 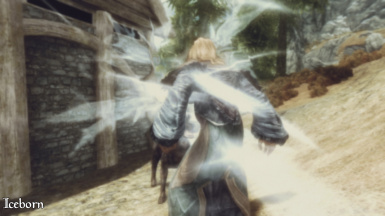 Trueshot - KYNE BATTLE GRACE: Enchant arrows with the power of wind or call down Kyne's wrath. Wail of the Banshee - FEAR FINITE TEMPORARY: Damage, slay or drain the lifeforce of weakened enemies. Wanderlust - SNOW SPRING SUMMER: Move lightly out of combat, illuminate the area or cast random shouts. Warcry - WEAPON CHAMPION LEGEND: The frenzy of battle restores your health, stamina or magicka. Phantom Decoy: Summon an illusion or shatter it to deal damage. These are unlocked by completing quest objectives. Storm Crown: Shout cooldown is removed when you enter or leave combat. Thundering Echoes: The first shout you use in combat has no cooldown. Way of Peace: Shouts have a greatly reduced cooldown out of combat. 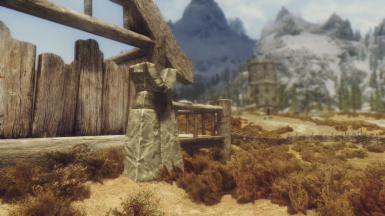 Scattered throughout Skyrim and Solstheim are these mystic pillars inscribed with draconic wisdom. Each Pillar corresponds to one shout. If you have unlocked all three words of the shout, you can activate the Pillar to gain a blessing that improves the shout. Only one Pillar blessing can be active at any time. When you activate your first Pillar, a quest appears, encouraging you to find other Pillars. Activating your second Pillar marks all of them on the map. Myths: Juggle a victim twice without touching the ground with Dance of the Dead 2 - The Jugglenaut. Stars: Banish 70 stars with Speak Unto The Stars 3 - Stellar Extinction. Witch: Hit a victim with 6 monopoles during Geomagnetism 3 - Death Magnetic. Snow: Detonate 6 enemies with Iceborn 3 - Time Freeze. To make it easier to chain several shouts without going into the menu, this amulet allows you to create a chain of shouts and automatically equips the next shout in the chain when you shout in combat. 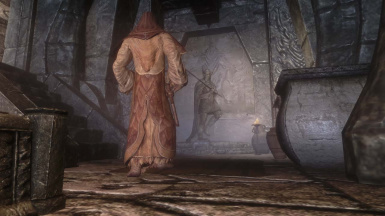 Create or extend a chain of shouts ("mantra") by wearing the amulet, selecting the desired shout and praying to the statue of Talos in the High Hrothgar Library. A mantra can consist of up to 10 shouts. Unequip the amulet to forget the mantra and start over. Many shout related bugs have been fixed and their effectiveness has been increased. See the Readme for more information. Do I need to start a new game to use this mod? No, even if you have already completed the crowning ceremony. You get your reward retroactively. Thunderchild comes with functionality to grant speechcraft experience based on the effective cooldown of each shout. This functionality works with all shouts regardless of their source, but is disabled by default. To enable it and modify the amount of experience given, use the Thunderchild MCM (mod configuration menu, requires SkyUI) to adjust the value of "Shouting Gives Speech Exp". If you don't have SKSE, open the console and type set TC_ExpMultiplier_Global to [value]. The default value is 4, but this can be increased or decreased. I meditate to Kyne but my stamina goes down very slowly: Base stamina regen is halted while meditating, but items or abilities that add points to stamina per second will continue to work and may overwhelm the stamina drain, in which case you should remove them before meditating. TESEdit found several ITMs, do I clean them: The ITMs are intentional. Sometimes the idea is to keep a certain value the same in case another mod decides to rebalance the same shout in a different way. Others are erroneously detected as ITMs and cleaning them will break stuff; most of these are fixed in 1.06 and later versions. 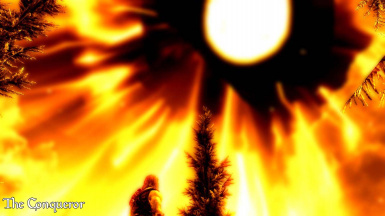 When I return Kyne's Fire, nothing happens: Firstly, make sure you return it within the time limit. 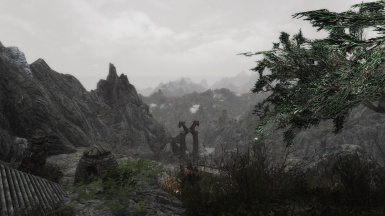 If that is not the problem, perhaps another mod has modified either Arngeir or parts of High Hrothgar, causing reference alias allocation to fail. The only solution is to find the dude who made that mod and get it fixed. 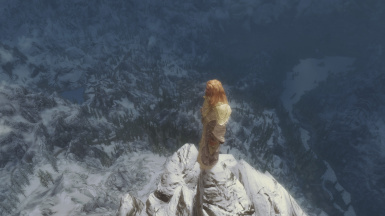 I meditate and nothing happens: It appears that Skyrim sometimes swallows part of a script if its script processor is overloaded. Are you experiencing significant script delays? 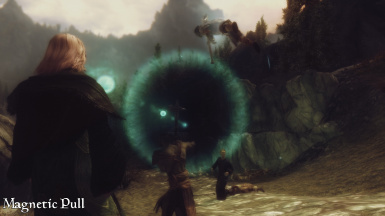 Also make sure you upgrade to the latest version to circumvent the "ability condition bug" in Skyrim.